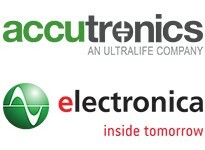 Accutronics is a leading battery and charger design, development and manufacturing company for high-performance portable and handheld electronic devices, specialising in the development and manufacture of 'smart batteries'. Medical Device, Defence & Security, Industrial Electronics, Portable Electronic Device and Robotics OEMs worldwide rely on our expertise to integrate the latest cell technology, electronic fuel gauging, active safety systems and innovative enclosure designs to power the next generation of rechargeable battery powered devices. 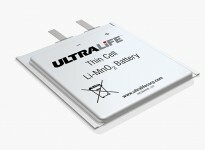 Our class leading, high energy density smart battery technology enables OEMs to make portable devices smaller, lighter and safer. Our custom battery and charger design and manufacturing service integrates seamlessly into OEM device development, Entellion products are smart, innovative portable power products, designed to meet the emerging needs of feature-laden devices in professional markets and are created and manufactured by Accutronics. 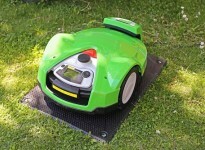 We are also sole distributor for the wide range of Inspired Energy standard smart batteries, chargers and accessories. 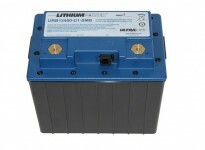 Unhappy With Your Current Battery Technology?